Life in America: Identity and Everyday Experience is a fascinating collection of readings that explores how people negotiate identity in the United States today. While individuals stitch together complex identities based on everything from the hobbies they enjoy to the neighborhoods in which they live, these identities rarely conform to the quick and routine identification of people by race, gender, and age. By exploring this tension between identity and identification, one can begin to understand how people creatively confront the perks and perils of identity in the United States. Life in America offers a look at a wide range of subjects including: violence and video games, queer pilgrimages to San Francisco, Filipina critiques of sleeping around, and the significance of lowriders in Hispano/Chicano culture. Framed by a lively introduction, this book provides readers with a thoroughly engaging and fascinating look at central issues of identity and what it means to be American. 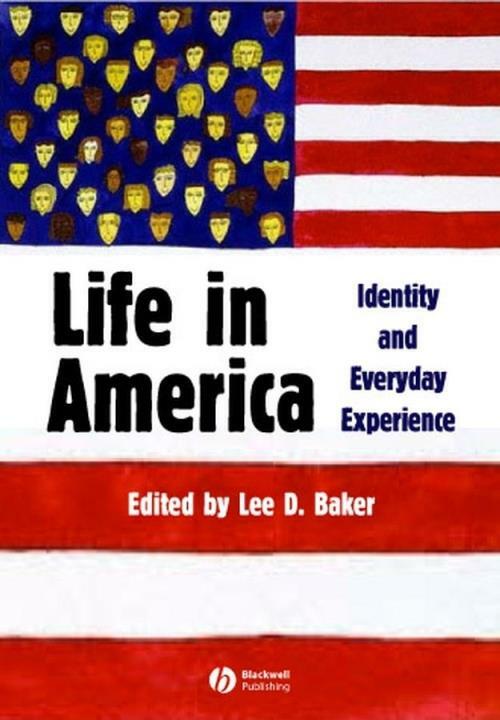 Introduction: Identity and Everyday Life` in America (Lee D. Baker). Part I: Conditions of Identity, Violence, and Technologies. 1. Cyborg Violence: Bursting Borders and Bodies with Queer Machines (Anne Allison). 2. Everything You Ever Wanted to Know About Assimilation but Were Afraid to Ask (Marcelo M. Suarez–Orozco). 3. Dousing the Fire or Fanning the Flames: The Role of Human Relations Practitioners in Intergroup Conflicts (Judith Goode). Part II: Church, Family, and the Dynamics of Post–Civil Rights Migration. 4. What it Means to be Christian: The Role of Religion in the Construction of Ethnic Identity and Boundary among Second–Generation Korean Americans (Kelly H. Chong). 5. "The Normal American Family" as an Interpretive Structure of Family Life among Grown Children of Korean and Vietnamese Immigrants (Karen Pyke). 6. "I Really Do Feel I′m 1.5! ": The Construction of Self and Community by Young Korean Americans (Kyeyoung Park). Part III: Consumption, Class, and Traditions of Negotiation and Investment. 7. Challenging Traditional Marriage: Never Married Chinese American and Japanese American Women (Susan J. Ferguson). 8. Cultural Citizenship as Subject–Making: Immigrants Negotiate racial and Cultural Boundaries in the United States (Aihwa Ong). Part IV: The Politics and Perils of Assimilation. 9. More than "Model Minorities′ or "Delinquents′: A Look at Hmong American High School Students (Stacey J. Lee). 10. "We Don′t Sleep Around Like White Girls Do": Family, Culture, and Gender in Filipina American Lives (Yen Le Espiritu). 11. College and Notions of "Asian American": Second–Generation Chinese and Korean Americans Negotiate Race and Identity (Nazli Kibria). Part V: More than Consumption: Experiencing Gender, Class, and Race. 12. Sexual Minorities and the New Urban Poverty (Jeff Maskovsky). 13. Institutional Violence in the Everyday Practices of School: The Narrative of a Young Lesbian (Kathryn Herr). 14. Queer Pilgrimage: The San Francisco Homeland and Identity Tourism (Alyssa Cymene How). Part VI: Policing Blackness, Authenticity, and the Soul Patrol. 15. Birthdays, Basketball, and Braking Bread: Negotiating with Class in Contemporary Black America (John L. Jackson). 16. Nike′s Reign (Mary Pattillo–McCoy). 17. Black Like This: Race, Generation, and Rock in the Post–Civil Rights Era (Maureen Mahon). Part VII: Privilege, Power, and Anxiety of the Norm. 18. It Hurts To Be a Girl: Growing Up Poor, White and Female (Julia Hall). 19. White Means Never Having to Say You′re Ethnic: White Youth and the Construction of "Cultureless′ Identities (Pamela Perry). 20. "I Want To Be the Minority": The Politics of Youthful White Masculinities in Sport and Popular Culture in 1990s America (Kyle W. Kusz). Part VIII: Language, History, and Specificity. 21. The Politics of Labeling: Latino/a Cultural Identities of Self and Others (Suzenne Oboler). 22. "Heart Like a Car": Hispano/; Chicano Culture in Northern New Mexico (Brenda Bright). 23. "Checkin′ Up on My Guy": Chicanas, Social Capital and ten Culture of Romance (Angela Valenzuela).